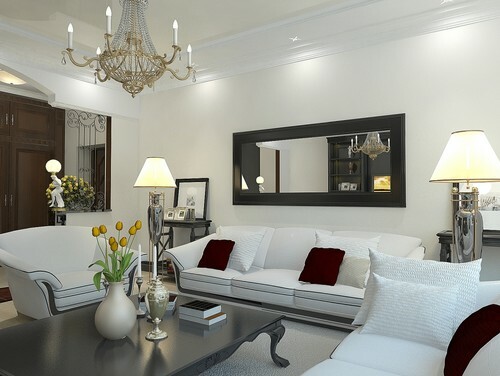 A long, black-framed mirror above the sofa complements the sophisticated style of the living room. Any room at home can use a mirror. Its reflective property makes it a decorative and practical home accessory. Put it in a small room and it instantly adds square footage visually. It brightens up a dark room by reflecting light from natural and artificial sources. Mirrors come in different sizes and shapes. When using a mirror, choose one that enhances the style of the room where it will be placed. Select a size that is proportional to the adjacent furniture. In the living room, there are several spots on where you can display large mirrors. A certain mirror is perfect in a specific spot. Be mindful on where you place your mirror and make the mirror work for you. Tip #1 Place a floor mirror to display a nice view. A floor mirror is not your standard-sized mirror. It reflects a larger area so put it in a location where it will reflect something beautiful and not just some blank wall. Make it reflect a pretty painting, a charming window, or a unique designer chair. The thing about big mirrors is that it is quite heavy. You have to make sure it is installed securely on the wall with metal brackets and for added security, place a low couch or chest in front of it. Tip #2 Hang a wall mirror near a window. Brighten up your living room by putting a mirror adjacent to a window so it can bounce off sunlight inside the room. You can hang a wall mirror opposite the window but check if it doesn’t create a strong glare. This location brings the outdoors inside the house. The mirror can reflect a lush greenery, a blue sea, a romantic cityscape, or a Zen-like pond. Tip #3 Create a balance in the fireplace. The fireplace occupies a large portion of most living rooms. 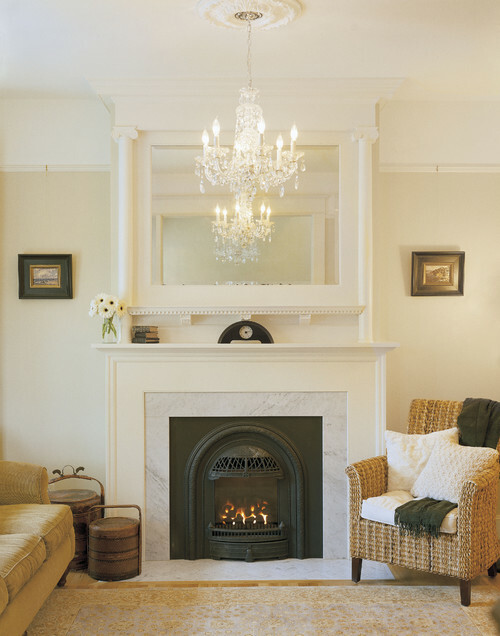 A large mirror above the mantel can give this area a balanced look. Instead of leaving the mantel bare, hang a wall mirror and add some decorative elements to bring life to that spot. Tip #4 Create a statement on a blank wall. Put a huge mirror with a stylish frame to cover a wall. It is a great cover-up for walls with some imperfections in it such as small holes, faded paint, etc. The wide mirror will get the attention of the people inside the living room. MirrorLot custom makes mirrors in large sizes. 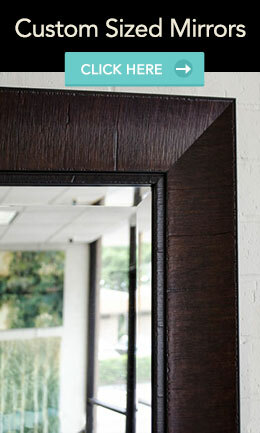 Visit our website to check the different mirror we provide.